Hooray for Comics: SPX 2013! Radio silence is officially OVER! Kyle and my newest book is complete and will be debuting at the Small Press Expo in Bethesda, Maryland this weekend. 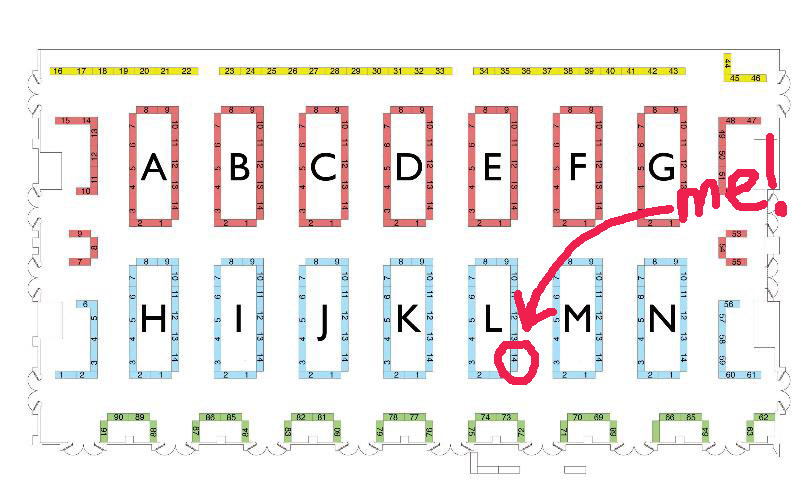 I'll be tabling with my usual crew of Dakota McFadzean, Pat Barrett, and the one and only Josh Kramer at table L14! Right here! I'll have all of Fugue, Cycles, three minis: Conversation, Breakfast with Beth and Six Sweet Binding Techniques, and the BRAND NEW Half Asleep Volume 1!! !